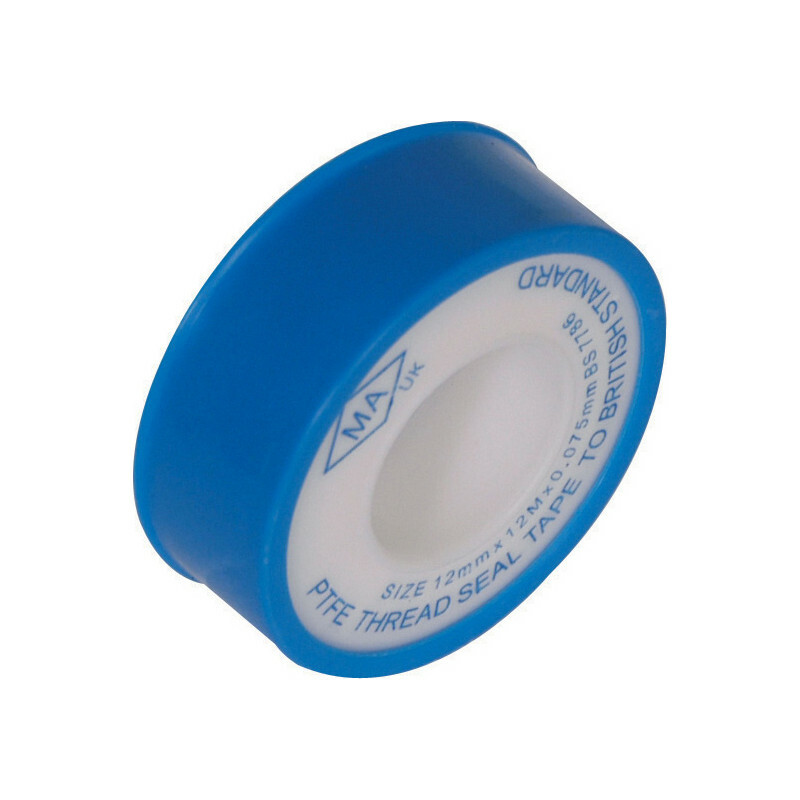 Thread sealing tape for potable water (WRAS approved) BS7786. PTFE Tape 12mm x 12m is rated 5.0 out of 5 by 23. Rated 5 out of 5 by TriTim from PTFE Tape Great value and does what you'd expect: seals threaded joints on radiator tails, etc. Rated 5 out of 5 by Andypapa from Price/service I ourchased this along with an assortment rubber washers. Far cheaper than elsewhere. Ordered online arranged click and collect bext day. Can't fault product ir service by staff at bentley bridge Wolverhampton.